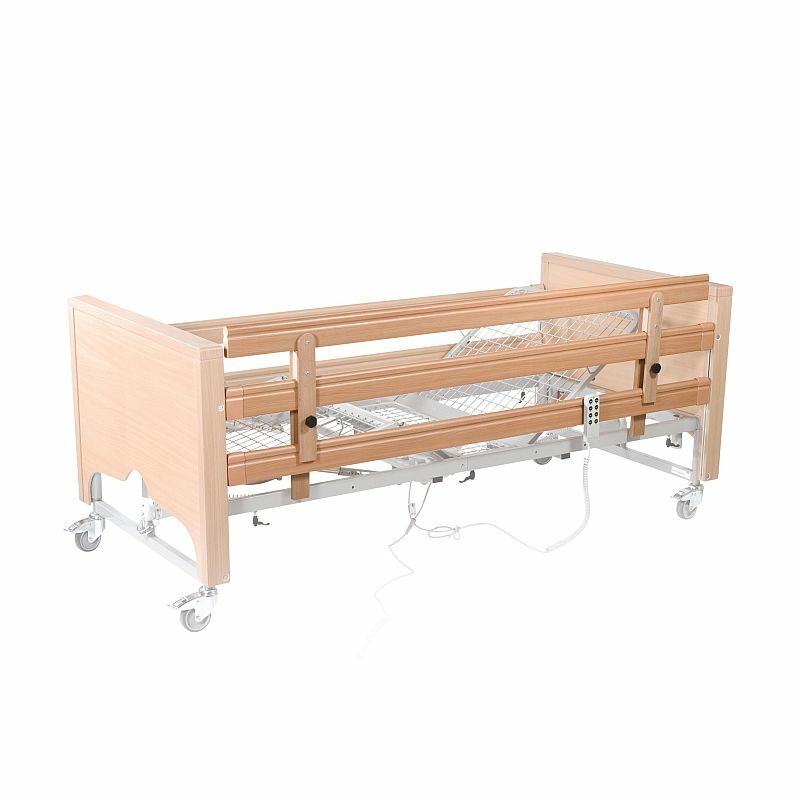 The Casa range of four-section profiling beds provides carers with easy patient positioning and treatment, while providing patients with greater comfort and independence. This set of Full Length Wooden Height Extensions Side Rails will add extra height to your side rails, providing greater peace of mind and safety for patients and carers alike. These extensions are intended for use with existing side rails, and easily clamp on in seconds. Even with the use of low profiling beds, patients may still be at risk of injury from falls out of bed. These side rail height extensions provide greater patient safety, ensuring that patients will not accidentally roll out of bed during the night and injure themselves. Please note: The product sold on this page includes only side rail height extensions, and not the entire bed as pictured above.